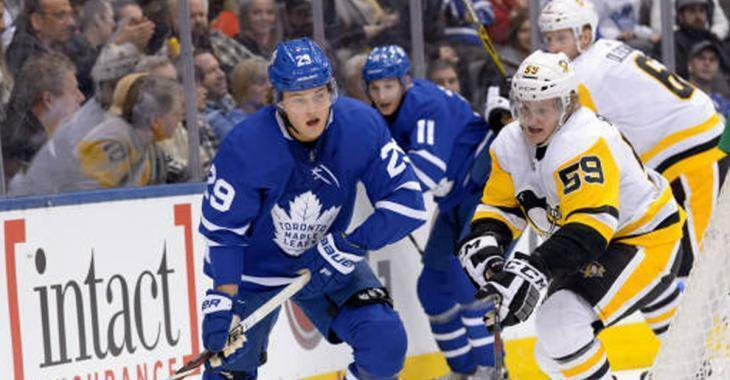 NHL News : Guentzel threatens to pull a Nylander on Pens?! Guentzel threatens to pull a Nylander on Pens?! When we think of the pool of pending restricted free agents for the summer of 2019, Toronto Maple Leafs young stars Auston Matthews and Mitch Marner quickly come to mind. However, Pittsburgh Penguins forward Jake Guentzel is also part of that group and he definitely wants to cash in on his second NHL contract this summer. According to The Athletic, Guentzel's agent Ben Hankinson, was ready to negotiate an extension for the 24-year-old last summer, but Penguins general manager Jim Rutherford told him he preferred to hold off until after the season, and it seems fine with the young player. “I’m not really thinking about it too much,” Guentzel told The Athletic. “I’m just trying to focus on this season, win as many games as we can, get to the playoffs. However, this is starting to make people fear about another contract standoff, similar to the one that just ended in Toronto with forward William Nylander. Many insiders are using Nylander as a comparable for Guentzel's new deal. Right at the RFA deadline on Saturday, Nylander signed a six-year deal worth $6.96 million per season last Saturday. Guentzel is averaging .70 points per game in his NHL career, while Nylander has a .73 average. The numbers might not be the only thing to compare Nylander and Guentzel's contracts. The Penguins forward admitted to The Athletic that more restricted free agents may follow Nylander's path moving forward, including himself. “Oh, everybody noticed,” Guentzel said of Nylander's holdout and eventual signing. “It’s new. It’s different. Some more guys maybe will start doing it. We’ll see what happens." This is a lot in common between Guentzel and Nylander: the Penguin has 12 goals and 22 points in 26 games this season and is on pace to top Nylander's totals from last season. He has 23 goals and 42 points in 37 career playoff games, is on pace for a career-high 38 goals and 69 points this season.